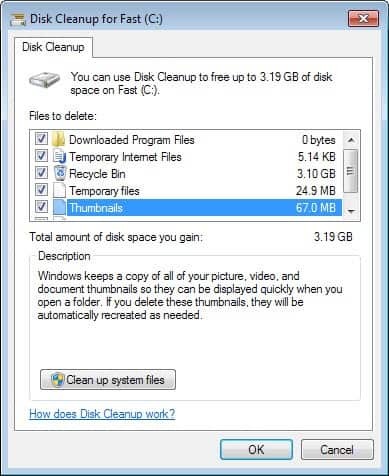 Windows will take you to the full Disk Cleanup interface right away that includes system files. This works both when you run Disk Cleanup from the start menu, and when you run it from a drive’s properties page. You can right-click on any drive and select properties to open the drive’s properties. 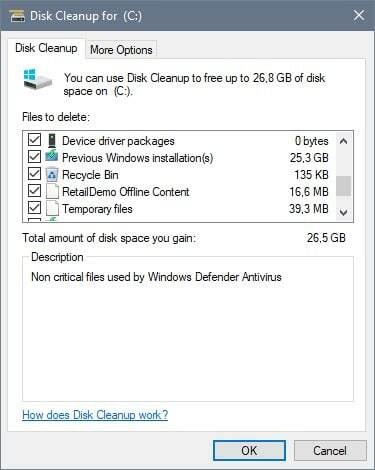 There you find listed an option to run disk cleanup. If you just click on the button, the regular Disk Cleanup interface is loaded. If you want to clean up system files as well, you’d have to click on the button to do so. This entry was posted on Monday, April 3rd, 2017 at 10:49 am	and is filed under tech tips. You can follow any responses to this entry through the RSS 2.0 feed. Both comments and pings are currently closed.